What Does a True Follower of Jesus Look Like? How can you identify a real Christian? What are the marks of a genuine Christian? But I am asking primarily about the individual, not the group: How can you identify who truly belongs to Jesus? There are many good, biblical ways to ask and answer this question. What does Christian mean, anyway? The term was first used in the ancient Syrian city of Antioch, and it appears that unbelievers were the ones who coined it. According to commentator Ben Witherington III, the term Christians (Χριστιανοι) in its original historical context meant “those belonging to, identified with, or adherents or followers of Christ.” (Pardon his poor grammar!) So in this post I’ll frame it this way: What does a true follower of Jesus look like? I was motivated to ask this question because our little church gathering here in West Lake, Atlanta goes by the name of Followers of Jesus Church Atlanta (FJCA). Since we chose to bear that name, I decided I should examine the New Testament more closely to see whom we are supposed to be! I shared my findings with our church and we discussed them together. Now I’ll share them with you. What follows is not a summary of the gospel. If it was, I’d need to be clearer on the work of Jesus. Nor is it a description of the church. If it was, I’d need to discuss things like leadership and decision-making. Some might fault this list because it focuses strongly on behavior. But this is a natural result of simply reading how the Bible, Jesus in particular, describes followers of Jesus. They are certainly people who believe certain things—and my list begins with belief, even if it doesn’t use the traditional language of faith. But they are also people who act, or at least ought to act, in certain ways. Again, this focus on behavior is because I am aiming to describe not the gospel itself, but a primary fruit of the gospel—people who are changed to follow Jesus. This list is not intended to be comprehensive. It began with a simple concordance search for “follow.” Immediately several central themes (suffering for Jesus, selfless love, etc.) became clear. Though I expanded my search, there are too many related concepts to have found all the relevant biblical data. I did try to throw a wide net—sometimes perhaps too wide—but I realize now that even some basic concepts like repentance and faith could be strengthened. I expect I’ll update this list from time to time. Lastly, perhaps this list would be better titled “marks of healthy followers of Jesus,” since no one follower exhibits all these qualities perfectly. Read my summary paragraphs after each heading. Compare my summary statements with the Scriptures that follow. Perhaps you’ll find Jesus’ call to follow as challenging as I did! Suffering witness: Jesus’s followers bear confident witness to his true identity as fully God and fully man—the Son of God, the promised Messiah-Christ-King, the Lamb of God who saves us from our sin, and the risen, ruling Son of Man. These followers are so devoted to Jesus that they willingly suffer for his sake, leaving all—possessions, family, and honor—for the sake of Jesus and the eternal rewards of his kingdom. They bear witness of Jesus and his kingdom to each other, to the watching world, and to all of creation. They bear witness by word and action, by their gathered worship and their daily lives, and ultimately by their deaths. In this way Jesus’ followers honor his greatest commandment—to love God with all our being. Matt. 4:19; 16:15-17; 28:18-20; John 1:35-49; 6:66-69; 10:4-5, 27; 15:26-27; 1 Cor. 11:23-26; Col. 3:16-17; Rev 14:1-5; Matt 4:18-22; 8:19-22; 9:9; 10:37-39; 16:24-26; 19:21-23; Mark 8:34-37; 10:28-30; Luke 5:11, 28; 9:23-24, 57-62; John 12:23-26. Loving service: Jesus’ followers imitate his way of loving others. They gladly suffer injustices without retaliating. They offer generous forgiveness to all who offend them, without holding grudges. They pray for their enemies and look for ways to creatively bless them, refusing to take up the sword. They are faithful in their marriages and all other relationship commitments. Their whole lives are characterized by selfless service, for they imitate the One who came not to be served but to serve—who gave up his divine rights, washed his disciples’ feet, and laid down his life for the world. In this way Jesus’ followers honor his second great commandment—to love our neighbor as ourselves. Mark 15:41; John 12:26; Matt. 20:25-28; Mark 10:42-45; Luke 6:27-36; 22:25-27; 1 Pet. 2:20-24; 3:9-18; 5:1-3; Eph. 4:32; 5:1-2, 25; Col 3:13; John 13:14-16; Phil 2:4-7; Rom 15:1-3, 7. Christian unity: Jesus’ followers know there is one Flock and one Shepherd. They affirm that all who belong to Christ, the Head, also belong to the Church, his Body. They rejoice that people of every culture, color, and class find oneness in Christ alone. They know Jesus has promised to build his own Church which he purchased with his own blood. They don’t divide over human leaders, but they do honor the teaching and imitate the example of Jesus’ apostles, whom he appointed as a foundation for his true Church. They welcome all whom Christ has welcomed while disciplining those who falsely claim to belong to him. In this way Jesus’ followers honor his final recorded prayer for them—that we may all be one in him. Matt. 12:30; 16:18-19; 18:15-20; Mark 9:38-41; Luke 9:49-50; John 10:16; 17:20-23; Acts 2:42-47; 20:28; 1 Cor. 1:10-13; 3:3-9; 11:1; 12:12-13; Eph. 4:4-6; Rom. 15:5-7; 2 Tim 1:13-14; 3:14-17; Rev. 7:9-10, 17. Spirit-powered obedience: Jesus’ followers honor his words by doing them. They do this by the Holy Spirit, their Helper sent by Jesus. They know they—like Jesus during his earthly life—will bear good fruit only by the power of the Spirit within them. They expect the Spirit will bear witness to Jesus by miraculous signs and special graces given as he wishes. They also expect the Spirit will empower them to live clearly counter-cultural lives of moral purity, relational integrity, and neighbor- and enemy-love—lives of humility, contentment, and trust in their heavenly Father. In this way Jesus’ followers honor the great commission he gave them—to make disciples who are taught to do all that he commanded. Matt. 28:18-20; Luke 6:46-49; John 14:15, 21-24; 1 John 2:4-6; Matt. 5-7; 22:37-40; Acts 10:38; Luke 3:21-22; 4:1-2, 14-15, 18; Luke 3:16; 11:13; 12:11-12; 24:49; John 14:16-17, 25-26; 15:26; 16:7-15; Acts 1:4-5, 8; 2:1-4, 32-33, 38-39; Gal. 5:16-25. Where are North American Christians most falling short of these marks? How would you summarize the biblical picture of a true Christian? Share your insights in the comments below. Endnote: As I did my research, I ended up with about seven main points. I wanted to be more concise, in case we end up using some version of this list as a church values statement someday. So I combined points until I had only four somewhat memorable headings. Many other combinations could have been equally possible, however. For example, combining “suffering” with “love” rather than with “witness” would also have expressed something that is clearly biblical: “Suffering love.” “Spirit-powered unity” also sounds good! The richness of Scripture cannot be summarized in any four, seven, or nine marks. This is (yet another) blog post about The Shack, by Wm. Paul Young. The Canadian in me wants to apologize immediately and get back to smiling, but that wouldn’t be quite honest. So I’ll just say I wish posts like this never had to be written. As debates about The Shack have escalated to a near frenzy online in recent weeks, I have been trying for the most part to hold my tongue about Young. I don’t like conflict, especially between Christians. I don’t like putting myself in a place where I’ll almost certainly receive some criticism. I don’t think reviewing controversial books or evaluating complex topics (such as God’s gender) are usually done best in Facebook text bites. Doing it in blogs is hard enough. And I want this blog to usually focus on more foundational matters than the latest hot topic—Bible reading skills and theological understandings that prepare us to navigate multiple topics as they come along. But “this website exists to build up the Church of Jesus Christ by helping her listen carefully to the Scriptures,” and it seems to me that too many of my fellow Christians are following someone who is neither building up the Church nor listening carefully to the Scriptures. So, I’d like to shine the light of the Scriptures on a few corners of The Shack. Before I continue, though, please hear me when I say that I nearly tremble to share this post. I realize there are some readers who feel they have (and may indeed have) found great help in Young’s writings. Some of these readers, like Young, have experienced terrible abuse and great suffering of spirit. They have found solace in Young’s depiction of God’s great love. I tremble lest my words reopen wounds or sound like a callous diminution of God’s tender love. I tremble lest, in noting the imperfections of the arm upon which some are leaning, I am the occasion for someone falling without hope of any arm upon which to lean. If, perhaps, I may be describing you, let me assure you: There are better books than this one, and God’s love is even richer than Young describes it to be, for it reaches even lower than he imagines. I also tremble lest my words of caution drive some even more devotedly after Young. But, imperfect as I am, and imperfect as this post will be, I will carry on. I am most certainly not calling any fan of The Shack a heretic. Enjoying an imperfect book does not make someone a heretic. Even believing untruths about God does not automatically make one a heretic. I am not denying that The Shack contains many beautiful truths, that many find it to be an engaging story, or even that God has used it to help some people learn more about himself. I don’t agree with every criticism that is being leveled against The Shack or its author. I’m not interested in attacking Young as a person, belittling the suffering he has experienced, or making statements about his standing before God. I am not telling you whether you should or should not either read or watch The Shack. Sometime after the novel came out and controversy first swirled around it, I read it. I don’t regret doing so. What nudged me to write this post was a chance today to scan another book by Young. As I was servicing a Choice Books rack at a Walmart this morning, I noticed Young’s book Lies We Believe about God on a nearby rack. I had already heard of the book, but had never seen it. Unlike The Shack, Lies We Believe about God is (or at least is intended to be) non-fiction. Here Young clearly states the set of beliefs he was trying to teach us through his earlier novel. (I understand the novel was first written for Young’s children, then later published for mass readership. 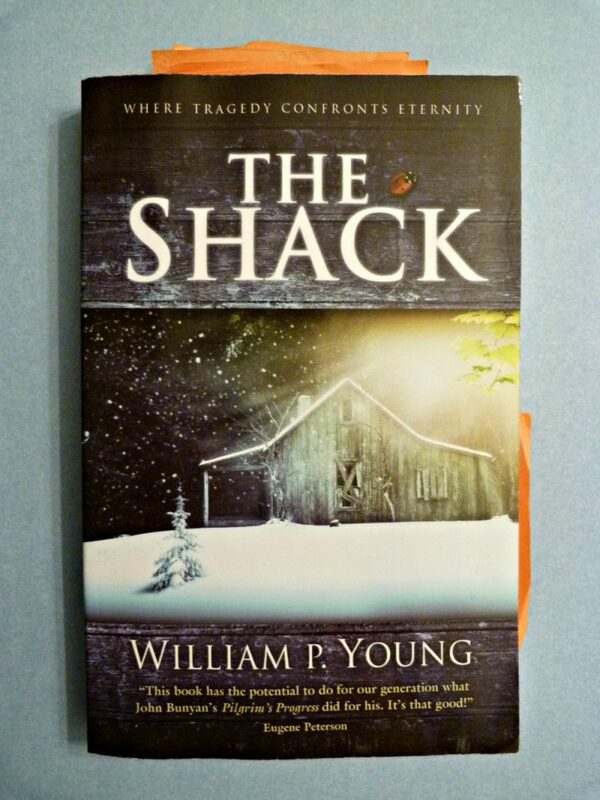 But, as Young shows in his new book, The Shack was indeed intended to portray and teach theological truths.) This new book contains multiple short chapters, with each chapter title being a “lie” he aims to prove false. I took time to scan parts of five or six chapters, and snapped photos of a few pages to help me share excerpts here. (A fuzzy “dumb phone” camera partially frustrated my purposes, but Amazon preview came to the rescue.) I’ll share some excerpts, then comment. If separation is a lie, does it mean that no one has ever been separated from God? That is exactly what it means. Nothing can separate us from the love of God (Romans 8:38-39). Jesus did not come to build a bridge back to God or to offer the possibility of getting unseparated. One of the multifaceted purposes of the incarnation of Jesus is that we who are lost in the delusion of separation can witness a human life who knows He is not. Young is teaching universalism. (This will become explicit later.) Normally, universalism is the belief that God will ultimately save everyone, so that no one will spend eternity estranged from God. Young’s version of universalism is even more radical: He believes that already now no one is separated from God. Young’s biblical foundation is very shaky. More on this last point. First, Young twists Scripture to make his point. Romans 8 is not denying that sin separates us from God. It is written about Christians who have already been freed from the penalty (Romans 3-5) and power (Romans 6-8) of sin, and it is assuring them that those who are already elect and justified cannot be separated from God’s love by any external threat. Romans is clear that apart from Christ every person is an “enemy” of God who needs to be “reconciled” to him (Rom. 5:10)—a reality only experienced by those who pursue righteousness by faith in Christ (Rom. 3:21-25; 9:30-32). It is the Spirit who bears witness that we are children of God, and “anyone who does not have the Spirit of Christ does not belong to him” (Rom. 8:9 ESV). Young likewise uses John 1 in a suspect manner, both building theology on a questionable translation of a Greek preposition (“inside”) and also stretching a passage about the Son’s role as divine Creator to say something unsuggested in its original context—that if everything was created “inside” Christ/God then nothing can be estranged from God. We don’t have to read much further in John 1 to know Young’s interpretation is wrong, for we soon read that Jesus own people “did not receive him. But to all who did receive him, who believed in his name, he gave the right to become children of God” (1 John 1:11-12 ESV). The clear message here is that (a) not all are children of God and (b) those who are, became such—they were not children of God prior to receiving Christ and believing in his name. This is not universalism! Second, the excerpts above are the only scriptures that Young cites in his entire chapter on the “lie” that “sin separates us from God”! That is the only biblical evidence he provides as he attempts to overturn a standard Christian teaching. The rest of the chapter is just his own theological musings. The Greek word often translated into English as “sin” is hamartia. A moralist will tell you that the word means “missing the mark” and then go on to explain that the mark is “moral perfection” or “right behavior” and once again we are back on the performance hamster wheel. But if the essence of God’s nature is relationship, then sin must be defined and understood as missing a relational reality, a distortion of the image of God in us. Hamartia is made up of two parts: ha- (an aspirated alpha), which is a negation (like un- or dis-), and -martia, from the Greek word meros, which means “form, origin, or being.” The fundamental meaning is “negation of origin or being” or “formlessness.” Yes, it is about missing the mark, but the mark is not perfect moral behavior. The “mark” is the Truth of your being. …Sin, then, is anything that negates or diminishes or misrepresents the truth of who you are, no matter how pretty or ugly that is. Behavior becomes either an authentic way of expressing the truth of your good creation or an effort to cover up (performance behavior) the shame of what you think of yourself (worthlessness). And what does the truth of your being look like? You are made in the image of God, and the truth of your being looks like God. These are all expressions of the truth of our being. He cites the definition a “moralist” might give to hamartia, but never cites any standard Greek dictionary. This sets up somewhat of a straw man argument, or at least misses the opportunity to check his understandings against what experienced Greek students have concluded. For example, Mounce notes that hamartia “typically refers to the transgression of the law” and that “thus, hamartia is used to denote our sin against God” (Mounce’s Complete Expository Dictionary of Old and New Testament Words). Note Mounce’s observation that sin is not merely about missing some abstract “moral perfection” or “right behavior,” but about transgressing God’s law—thus making sin a relational matter (as Young claims) but a matter of our relationship to God (not to ourselves, as Young suggests). Young commits what linguists call a “etymological fallacy” when he defines sin based on its word components. What does “butterfly” mean? Don’t try to define it by dividing it into “butter” and “fly”! True, many words won’t lead you quite so far astray if you divide them into parts to define them. But the dependable way to get a working definition for any word is to see how it is used in real life. Hence Mounce’s approach above, when he says that hamartia “is used to denote” such and such. Young then makes a leap from his etymologically-derived definition to assume that “the mark is the Truth of your being.” Why not (assuming for the moment his definition) say that “the mark is the truth of God’s being”? Young says that “the essence of God’s nature is relationship.” I don’t deny that relationship is essential to God’s nature. But I also recall that the God of the Bible never says “I am relationship.” Nor is he ever praised as “Relationship, relationship, relationship!” But there are many places where he declares “I am holy,” and multiple places where he is praised as “Holy, holy, holy.” Surely holiness is essential to God’s nature. Why does Young not consider this in his understanding of sin? This thought flow leads to a definition of sin that doesn’t seem anything Iike the standard concept of sin in the Bible: “Sin, then, is anything that negates or diminishes or misrepresents the truth of who you are…” If I am reading Young correctly here, it seems that he believes sin is essentially inauthenticity. And if you understand yourself correctly, you will know you are good. So sin is to disbelieve one’s own goodness. So what is the Good News? What is the Gospel? The Good News is not that Jesus has opened up the possibility of salvation and you have been invited to receive Jesus into your life. The Gospel is that Jesus has already included you into His life, into His relationship with God the Father, and into His anointing in the Holy Spirit. The Good News is that Jesus did this without your vote, and whether you believe it or not won’t make it any less or more true. What or who saves me? Either God did in Jesus, or I save myself. If, in any way, I participate in the completed act of salvation accomplished in Jesus, then my part is what actually saves me. Saving faith is not our faith, but the faith of Jesus. Young is clear enough that his words need little explanation here: He believes in universalism—that all people are already saved, apart from anything (including even faith) on their part. Young says that this truth “has been blowing people’s minds for centuries now.” What he does not mention is that universalism has also been considered a heresy for centuries now. Strictly historically speaking, any universalism is heresy–according to all major branches of Christianity. Olson suggests that not all forms of universalism are as dangerous as others. Which kinds are most dangerous? I think universalism is a minor heresy SO LONG AS it does not interfere with evangelism… I also evaluate the seriousness of universalism by its context–viz., why does the person affirm it? If universalism is evidence of a denial of God’s wrath and/or human sinfulness, then it is much more serious. Given Young’s redefinition of sin (and of God’s wrath in other parts of this book), I suggest that his version of universalism is no small heresy. [Universalism] is unbiblical and illogical. However, that does not mean a person who holds it is not a Christian. I have never met a Christian who was one hundred percent theologically correct. Scratch hard enough and you’ll always find some heresy beneath the surface (if not on the surface). That’s true for me as much as for anyone else. However, the unfortunate truth remains: Young’s books promote the heresy of universalism—a heresy that reaches near to the core of our understanding of the gospel. Many of us sensed such problems in The Shack; they are now evident to all with eyes to see in Lies We Believe About God. Young radically redefines sin in unbiblical ways. He does not follow standard lexical methods for defining biblical words. He uses relatively little Scripture, takes it out of context when he does use it, and overlooks passages that contradiction his assertions. Sadly, what Young does not seem to realize is that his attempts to emphasize God’s love (by promoting universalism and its supporting doctrines) actually produce an anemic vision of God’s love. By downplaying the horror of sin’s afront to God’s holiness, God’s offer of love to sinful humanity is also diminished. I understand that people such as Young who have suffered terribly often struggle to feel God’s love. I do not want to belittle this struggle in any way. I, too, have tasted of it, though I will not compare myself with others. I do suggest, however, that the answer to our desperate sense of distance from God is not to deny that distance via a universalism that strips the cross of its awesome incongruity, but to acknowledge the immensity of the gulf that God has spanned at immeasurable cost on our behalf. In denying that gulf, Young unwittingly diminishes our vision of God’s love. With all the great Christian literature out there, why should The Shack float to the top? I freely affirm that there are valid concerns that lead people to books such as The Shack. Many of us have experienced terrible injustices and abuses. Many of us have been hurt by our churches. Most of us have stood in urgent need of a fresh vision of God’s love and grace! But why turn to The Shack as the best answer to these needs? Yes, Young writes with great authenticity (a virtue which is opposite of his definition of sin, after all). But many other writers have also written with authenticity. And authenticity is not the same thing as truth. Why do some of us seem to value authenticity more than truth? Without truth, there is no real life—no eternal life. Why not seek and promote books that speak healing and grace and love—and truth! Share in the comments below the name of a book or two that you would suggest instead of The Shack. Pointing out false teaching is unfortunately essential work at times. But merely pointing out the false does not bring life to anyone. Help us out! What books would you suggest to someone who is wrestling with suffering, abuse, pain, distance from God, hurt by the church, or other major heart tragedies? Which books have helped you? Pilgrim’s Progress, by John Bunyan. Eugene Peterson suggested that The Shack could do for our generation what Pilgrim’s Progress did for Bunyan’s. Actually, Pilgrim’s Progress served many generations well. Why not read an updated version today? Soul Survivor: How My Faith Survived the Church, by Philip Yancey. This one was helpful to me in my early twenties. Yancey recounts his “horror story” about his church experience, then mini bios of many saints past and present whose lives renews his own faith. The Gospel According to Job: An Honest Look at Pain and Doubt from the Life of One Who Lost Everything, by Mike Mason. Mason’s book on marriage is the only marriage book that my wife and I have both deeply enjoyed. I gave this book on Job to my friend Lowell Herschberger, and I think I’ve seen him reference it multiple times since. Those are a few. My list is tilted toward nonfiction. Try Les Miserable or some Dostoyevsky for some tested fiction that wrestles deeply with tragedy and grace. What can you add to this list? Please suggest a helpful book in the comments below. And again… if you think I’ve been overly critical of Young and The Shack, I sincerely hope we can still be friends. God’s love can cover a multitude of sins, including my own. Georgia vines cover our backyard like love covers a multitude of sins. At least that is the natural order of things—with the vines, as well as with true love. We are slowly learning about southern biology. My wife’s daily devotional times are suffering thanks to the babbling birds boldly blaring their boom boxes behind our brick abode. I’m noticing—I think, I hope—that Georgia grass grows just a bit more gradually than Iowa varieties. I might be wrong. Either way, I know that my love should look more like Iowa grass and Georgia vines, and that forgiveness should grow more quickly in wounds of my heart. Mom talks about these things in the poem she shares this month. If you are struggling to forgive, or surprised by your own capacity to hate, then may her words give you fresh courage. Mom’s poem is old—first written when I was only eight. 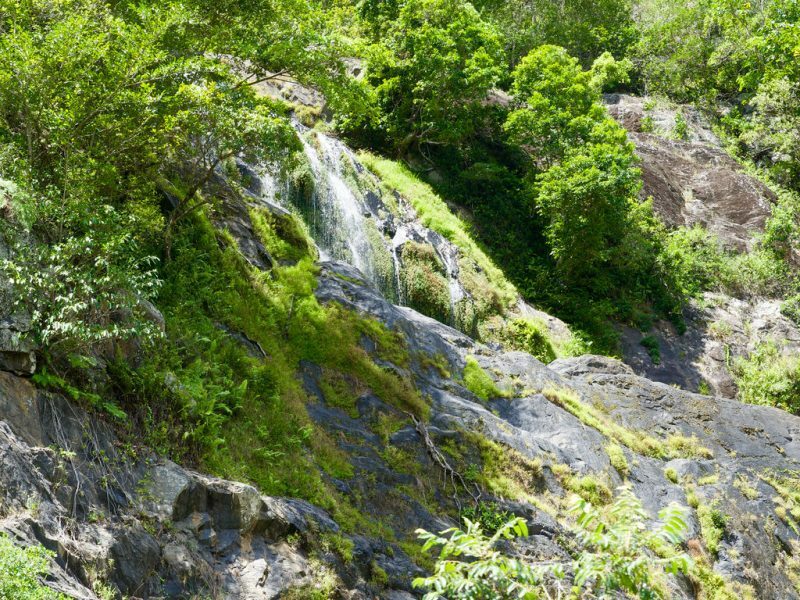 (I recall the geological events she describes from the time, but was blissfully unaware as a boy of the concurrent ecclesiological disruptions motivating her poem.) Mom has written a new introduction to her old poem. But first, here is the poem. Enjoy! And moss adorns the rocks. —Elaine Gingrich, January 1982/1985. Published in Ontario Informer, 1985. One student had wanted his life to end but reading the Bible showed him that he could turn his life around. He asked forgiveness of God and his loved ones and was finally able to forgive his girlfriend who left him while he was in jail. Forgiveness is transformative. We all know forgiveness is not essential only for prison inmates. The scars that I write about in this poem have nothing to do with crime or incarceration. Sadly many Christians live imprisoned far too long in the grips of unforgiveness and bitterness. No wonder the epistles command us over and over to be tenderhearted, to forgive as Christ forgave us, and to return good for evil. “Like Spring” was written after a discouraging season in church life. 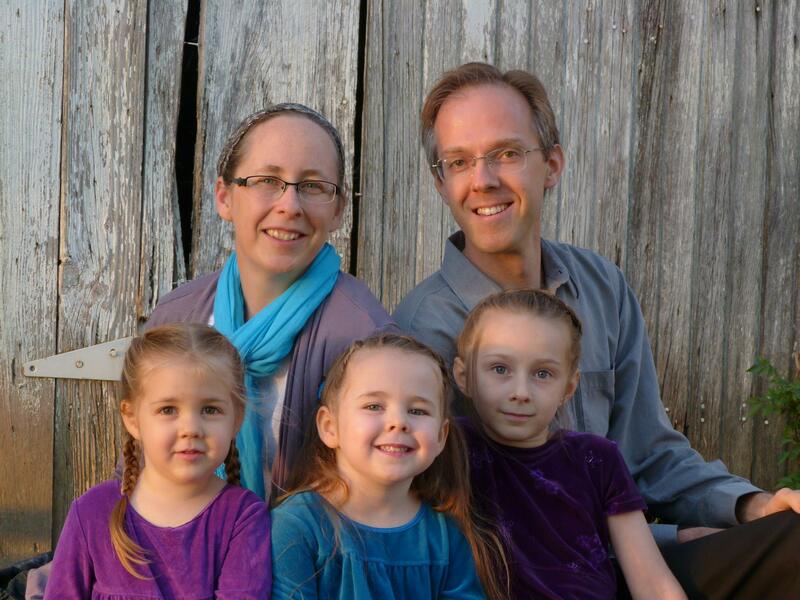 Differing opinions on church affiliation had caused our beloved pastor to move on. A few members moved away. Ken wondered why he was building our new home. The images for the poem grew out of the road construction occurring that summer past our property. The cottage trail winding between the northern lakes was redirected, blasted through the rocky hill between our circle drive. Several times rock-drilling and blasting sent us out of our trailer home to safety, and the dust and rumble of huge dump trucks and power shovels entertained my three young sons who had a front rock seat to all the action. Yes, God’s way and nature’s way is better.